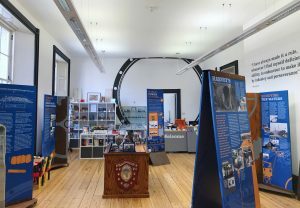 The Heritage Centre is run by Harvey’s Foundry Trust – a charity that has for over 20 years been working to protect and promote Hayle’s rich heritage. Its aim is to provide Hayle with a community focus, giving the historic site of Harvey’s Foundry a cultural anchor that facilitates education and learning, increases tourism and provides our residents with a sense of their history. 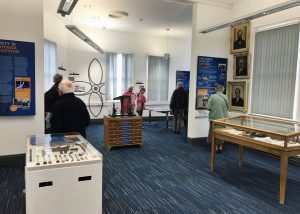 The Heritage Centre houses a free exhibition that enables visitors to learn about Hayle’s social and industrial history. 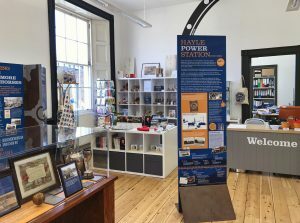 Interpretation panels are accompanied by a number of display cases presenting objects relating to various aspects of Hayle’s diverse and fascinating past including Harvey’s Foundry, shipping, leisure, World War II, Hayle Power Station, the Hayle Railway and J&F Pool. It also runs a programme of events and workshops, encouraging public engagement with both the collection and our local heritage. The Heritage Centre is open annually between April and October from 11am to 4pm on Tuesdays, Wednesdays, Thursdays and Fridays. For more information visit the Heritage Centre website.